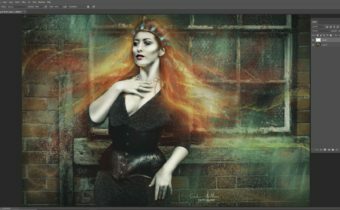 In this Photoshop Tutorial, JoAnn Wilmot guides you through the steps in creating this beautiful piece, Dream Within a Dream. JoAnn explains her approach to bringing each new image into the layer stack to construct a cohesive overall image. You will also see how she uses specific images as lighting and texture effects solely through the use of blend modes. All of the images used in creating this piece are provided so that you can follow along on your own. These images were created by Shift Art members, based on Dream Within a Dream by JoAnn Wilmot. Join Shift Art to show your version! Thank you for sharing your talents and photos JoAnn. I had a great time following along and learned so much! Thank you Mary! I love the new idea of being able to post your work under the tutorial. I’ve also learned so much following the other tutorials here. Your piece came out really well! Thank you! It was so interesting to see your process, and your beautiful art. And very valuable to be able to try to recreate your work. Thank you Nancy! So glad you enjoyed it! Thank you for the very interesting tutorial, I learned a lot from it. So beautiful! Thankyou for sharing the files. I love this format!!!! I learned so much! Hope you continue with other tutorials using this approach! So beautiful! Thank You! I am not a very technical person however I am very hands on. Following along was extremely helpful. Thank-you for making this available.